The average commute to work or school is in a bus, train, car, or by foot. But for some commuters around the world, swimming or zip lining is a daily mode of transportation. Weather conditions can also impact a work commute. When a snowstorm hit New York City, a commuter decided to ski to the office. The average commuter usually rides in a bus, train, or car, but for some commuters around the world, swimming or zip lining to work is just as normal. For some of the most populated cities in the world, a morning commute during rush hour brings streets to a standstill and turns public transportation into a nightmare. In Mumbai, India, more than 7.2 million workers commute using the Mumbai transit system daily, which makes almost 3,000 trips per day. 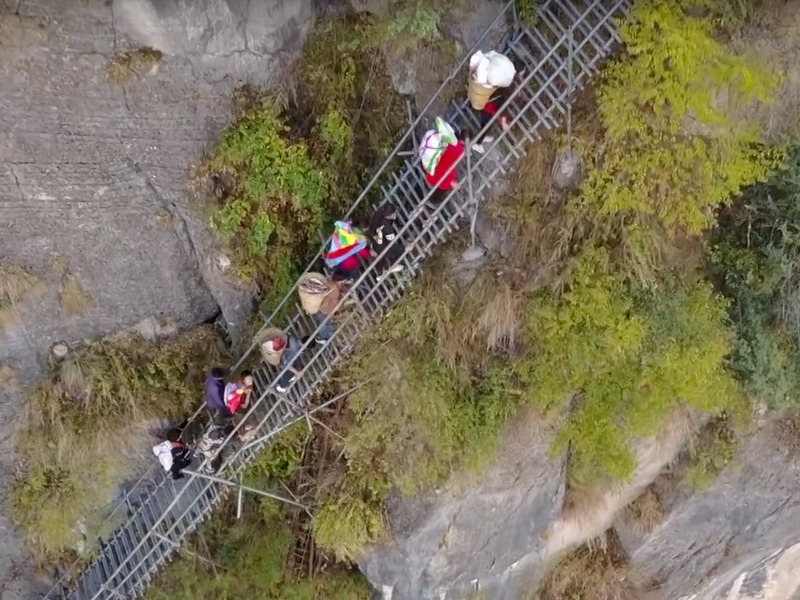 A village in Sichuan, China, has school children scale a giant steel ladder up an 800-meter, or 2,624-foot, mountain to get to class. Extreme weather can alter daily commutes, too. 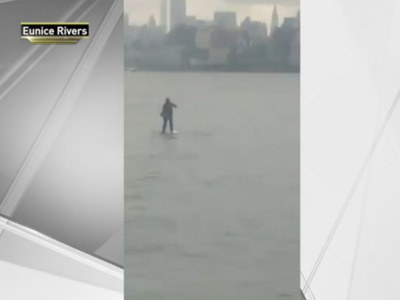 A commuter in New York City skied to work after a snowstorm hit the streets. Flooded streets in Asuncion, Paraguay, prompts commuters to use horse-drawn wagons to travel. 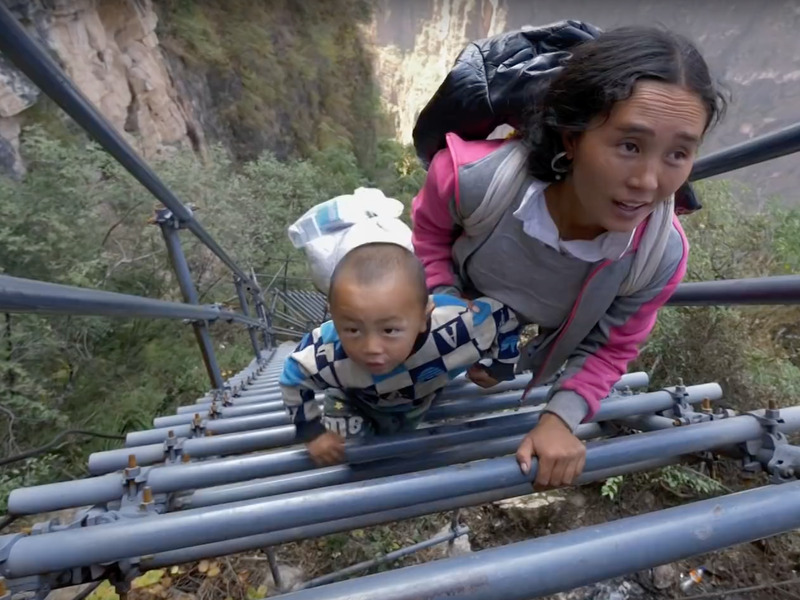 Check out some alternative ways workers are commuting to the office around the world. If the snow is too much for New York City commuters, skiing is always an alternative option to get to work. Snow is ubiquitous in Alaska, where several remote villages require locals to travel by dog sled. People use reindeer sleds in the Western Siberian region of Russia. 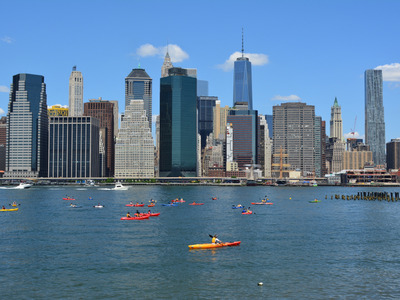 During the warmer months, Hoboken, New Jersey, resident Zach Schwitzky kayaks across the Hudson River into Manhattan daily for work. It takes him 20 minutes to cross the river but his commute is 45 minutes door to door. Earlier this year, Scott Holt went viral for paddle boarding across the Hudson River because he was late for a work meeting. The Jersey City resident decided to forgo public transit and made it to work in 30 minutes — just on time for his meeting. For over 17 years, Gabriel Horchler has rowed five miles to the Library of Congress for work, down the Anacostia river from Maryland to Washington, DC. Benjamin David, a commuter in Munich, Germany, swims upstream to work. “Sometimes I hear commuters yelling at each other up on the riverbank while I’m having fun watching ducklings and squirrels,” he wrote in an article for The Guardian. In North Wales, Paul Cox commutes to work using a motor-powered paraglide. David Grimes, an IT manager in England, kite surfs to work, according to a 2007 Daily Mail story. On average, it takes him 30 minutes to get to work, travelling at about 20 miles per hour. Meanwhile, some commuters take to the skies. Frantisek Hadrava lives 15 kilometers, or 9.3 miles, away from work in the Czech Republic. 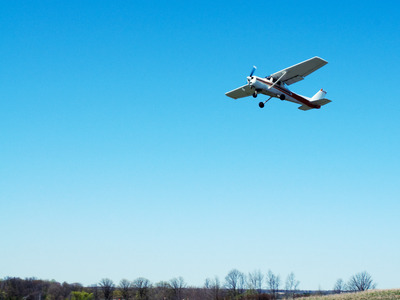 He built a plane and flies to work daily. The flight takes less than seven minutes and he parks it in his office’s parking lot, taking up four car spaces. In Georgia, cable cars in Chiatura take people to and from work, hovering hundreds of feet above the ground. The cable cars in Pakistan are more like glorified chairs on rope. Commuters in Bolivia use the world’s highest cable car system that transports thousands of people about 4,000 meters, or more than 13,000 feet, above sea level. Cable cars are also a common mode of transportation for workers in Brazil. 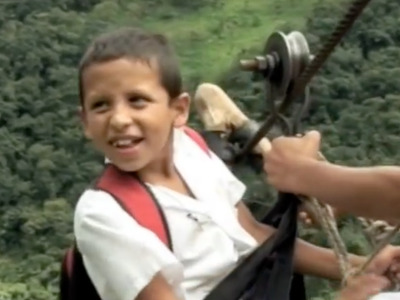 A zip line takes children to school in Columbia, which reaches speeds up to 40 miles per hour. 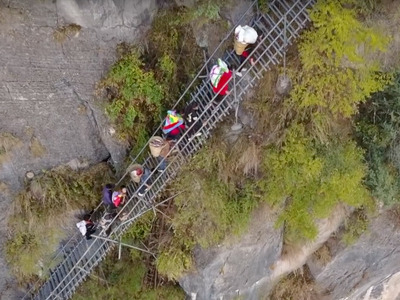 In Sichuan, China, 20 school children scale a giant steel ladder up an 800 meter, or 2,624-foot, plateau to get to class. And that’s an improvement from the vine and wooden ladders that were replaced in 2016. In Venice, Italy, commuters use water taxis to get to school, work, and home from any of the 14 taxis stations around the city. 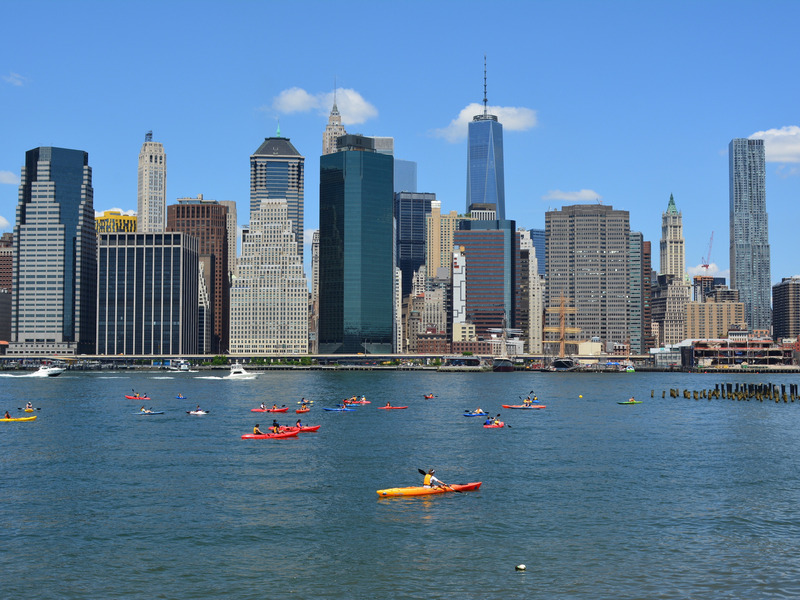 A water taxi can hold up to 10 people at a time depending on size. People in Bangladesh commute in boats similar to canoes — even in the rain. The trains in Bangladesh are some of the most crowded for commuters, many of whom risk riding on the roof or hang onto the sides. Commuters also hold onto the side of trains in Soweto, South Africa. More than 7.5 million workers commute daily using the Mumbai transit system, which makes almost 3,000 trips a day. To compare, Grand Central Station sees 750,000 commuters daily. Several commuters in China choose to bike to work alongside other cycling commuters, making for an epic traffic jam. North Korean commuters can be easily spotted in their suits on bikes. Meanwhile, some commuters in Bangladesh pay others to bike them around. In New Delhi, commuters hail rickshaws. Flooded streets in Asuncion, Paraguay, prompt commuters to use horse-drawn wagons. Some Haitian commuters squeeze on motorcycles to travel. Taiwanese commuters use motor scooters, too. There are 15.09 million motorcycles in Taiwan, or 67.6 for every 100 people. Meanwhile, tobacco farmers in Cuba pile on to a truck bed to head to work. Trams are a popular mode of transportation for North Korean commuters. Trams are also used in Turkey, travelling through the middle of crowded streets. Heavy traffic jams make for a slow morning commute in Kabul, Afghanistan. For commuters in Bangalore, India, rush hour brings the streets to a standstill.